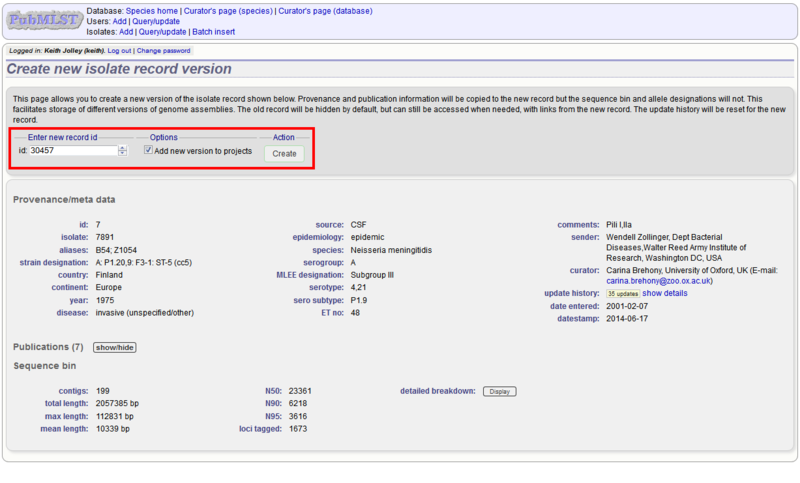 Press submit. 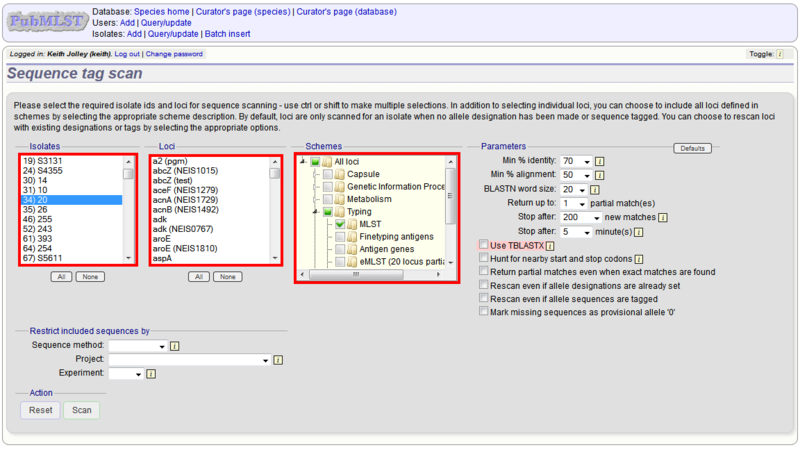 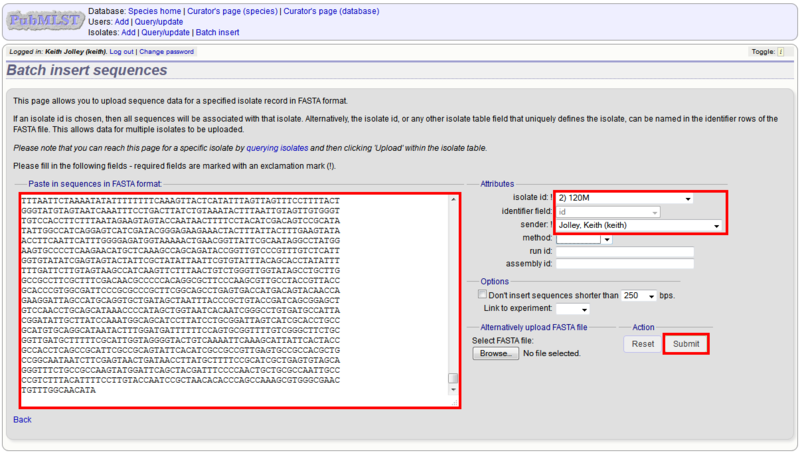 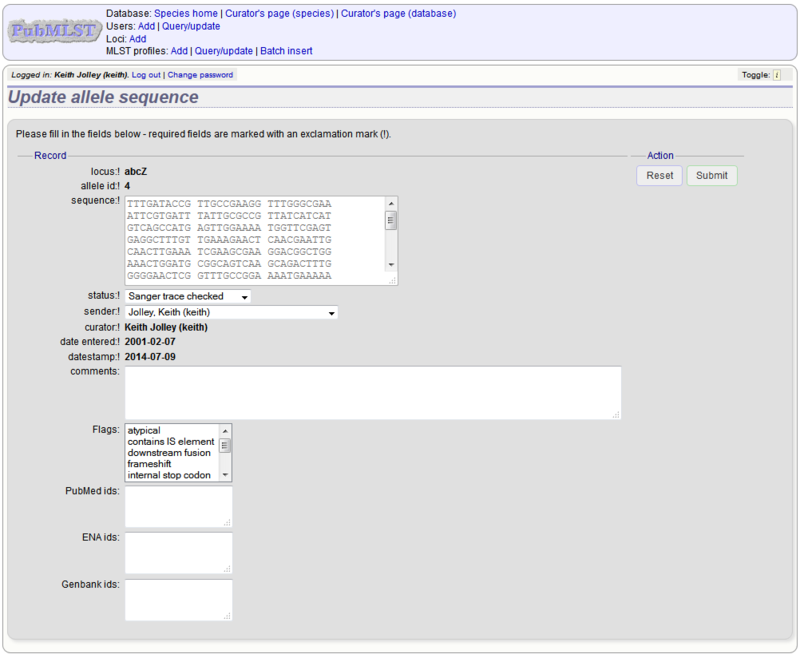 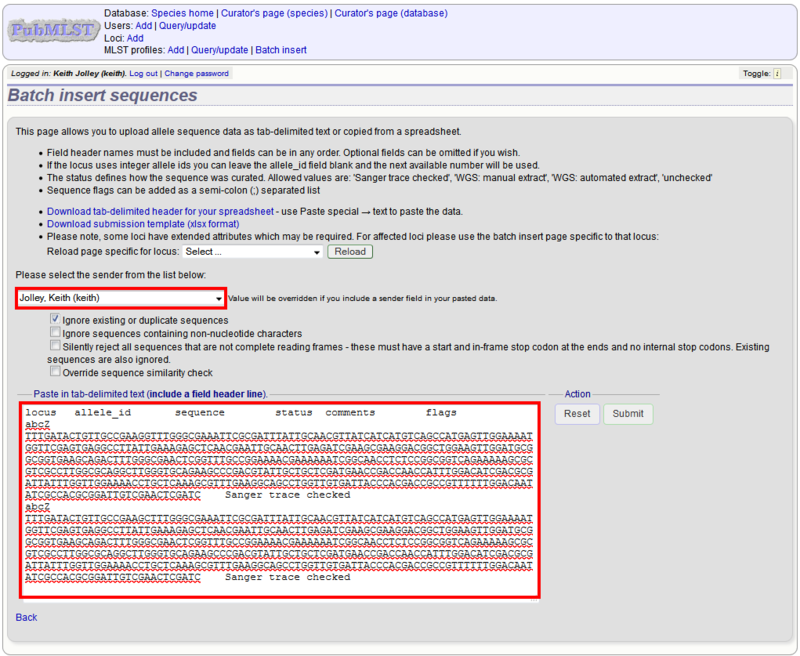 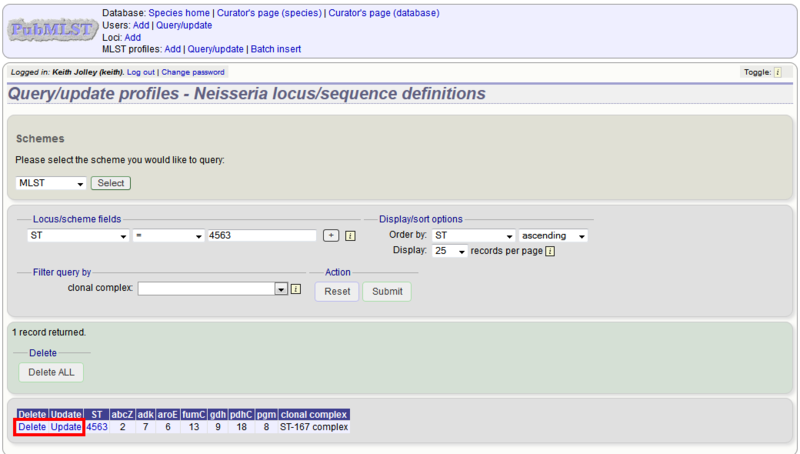 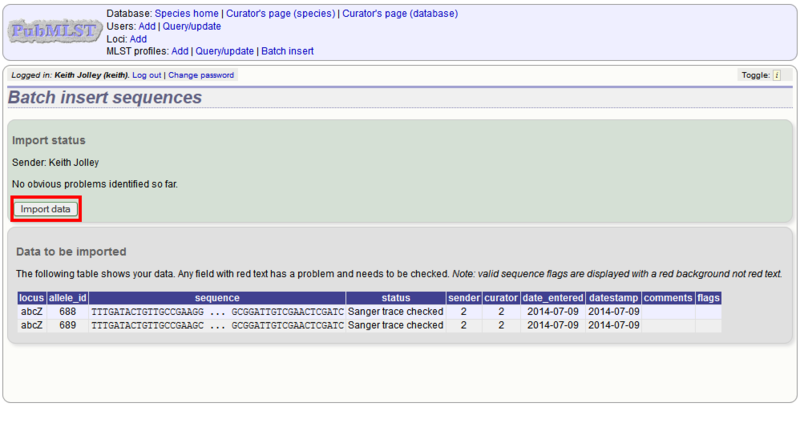 By default, the system will test whether your sequence is similar enough to existing alleles defined for that locus. 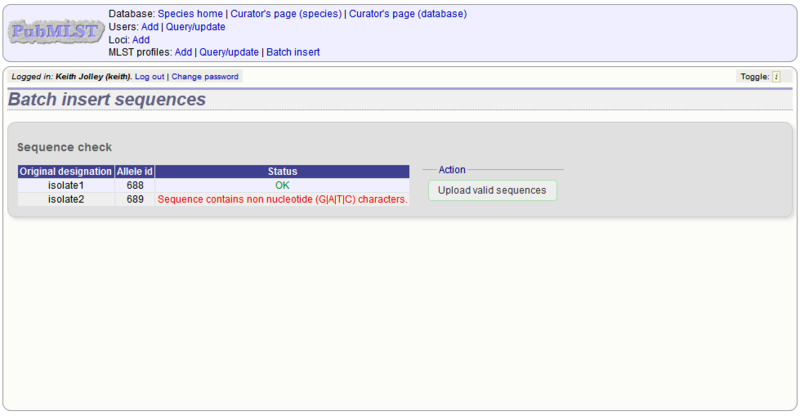 The sequence will be rejected if it isn’t considered similar enough. 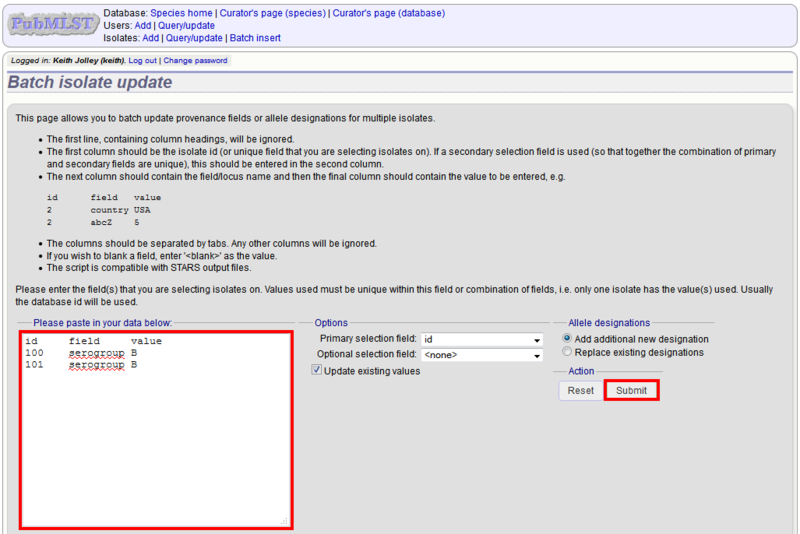 This test can be overridden by checking the ‘Override sequence similarity check’ checkbox at the bottom. 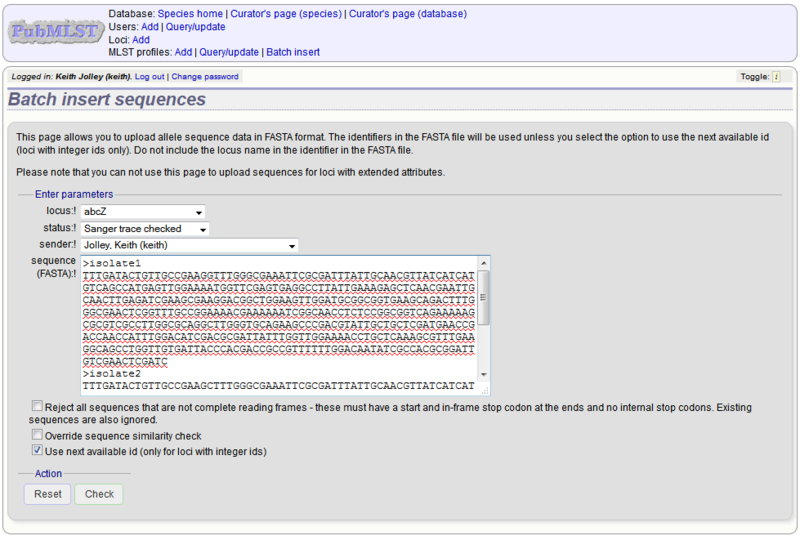 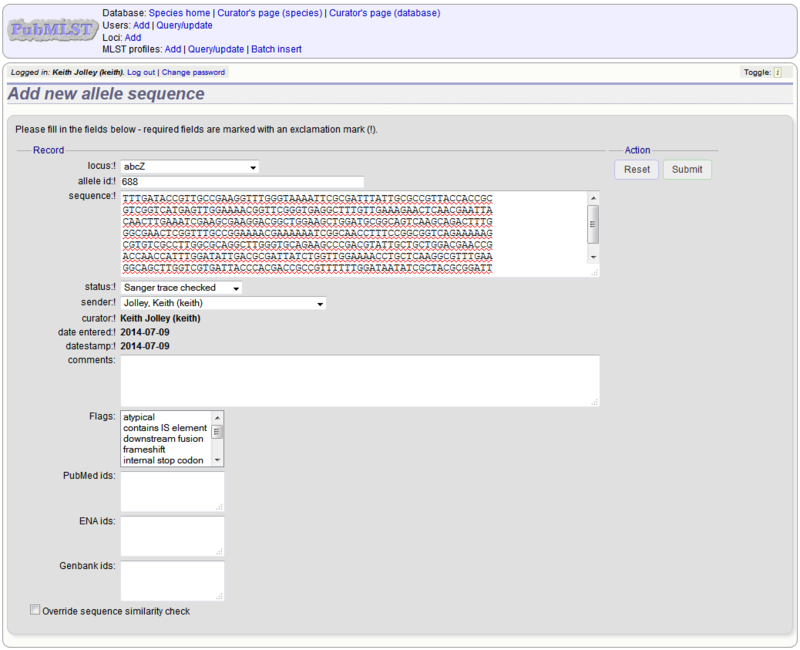 You cannot update the sequence of an allele definition. 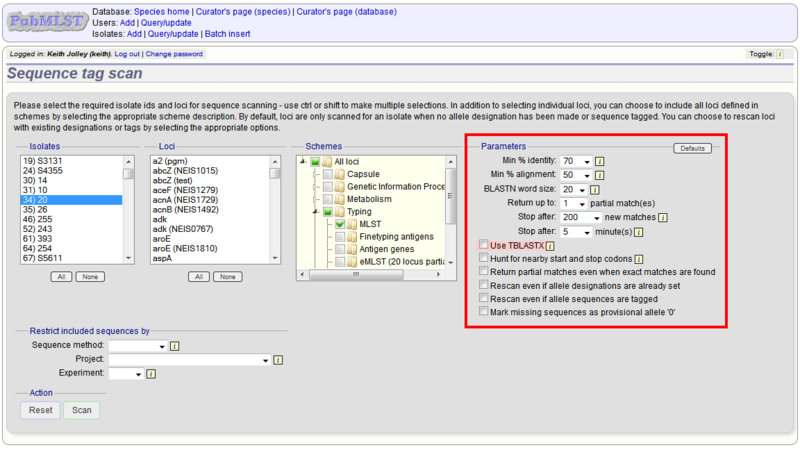 This is for reasons of data integrity since an allele may form part of a scheme profile and be referred to in multiple databases. 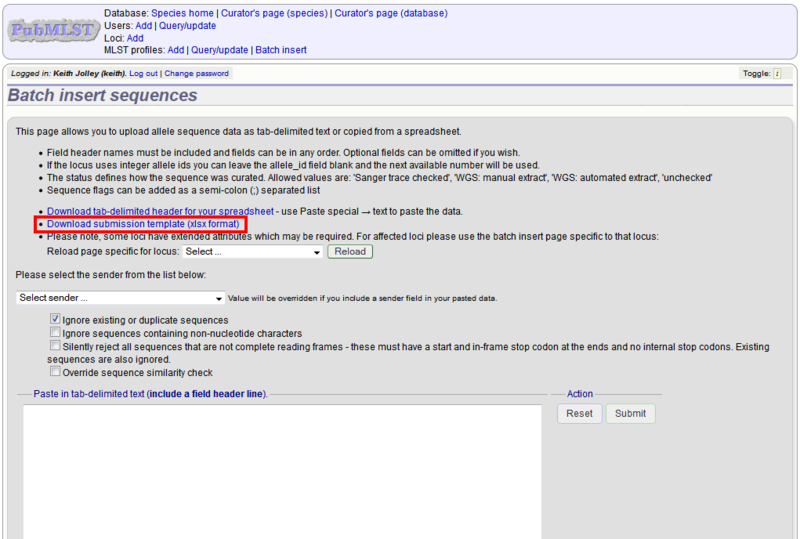 If you really need to change a sequence, you will have to remove the allele definition and then re-add it. 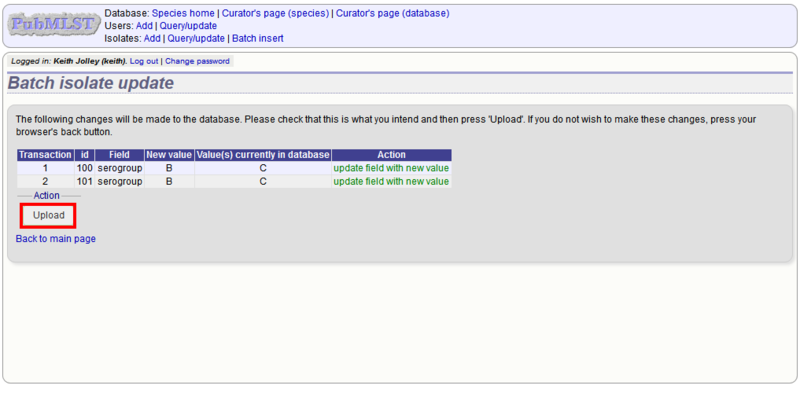 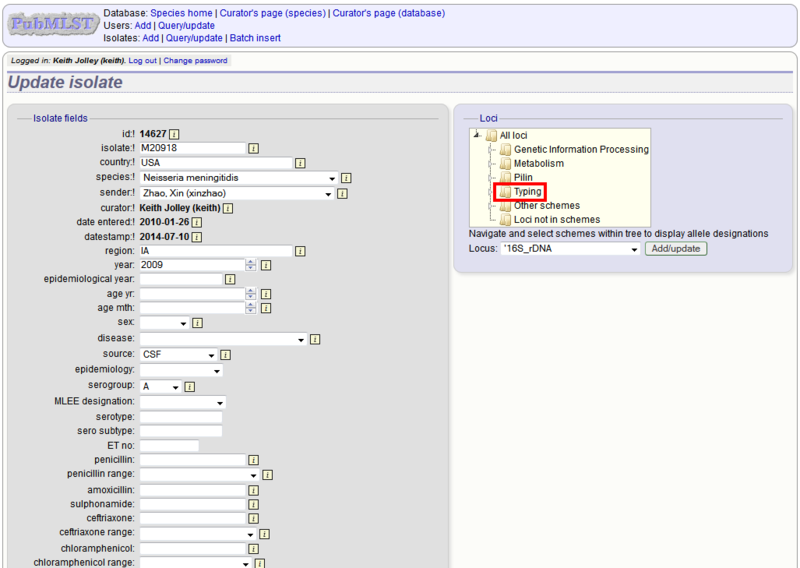 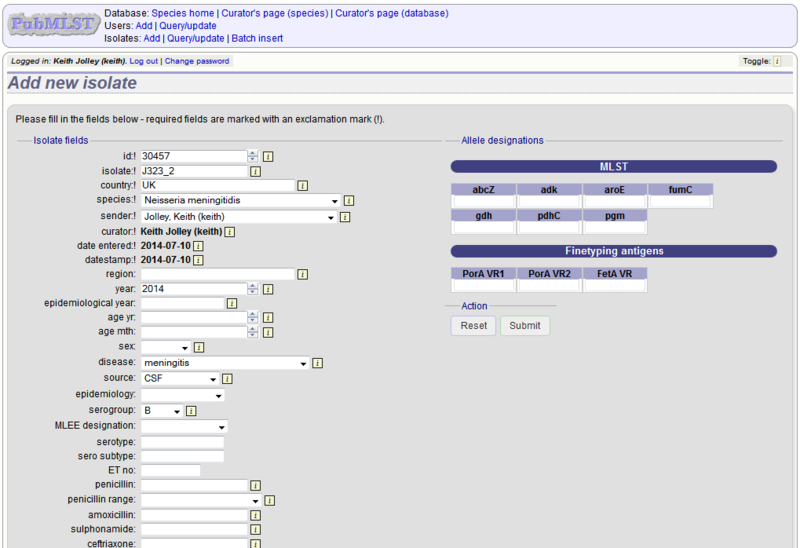 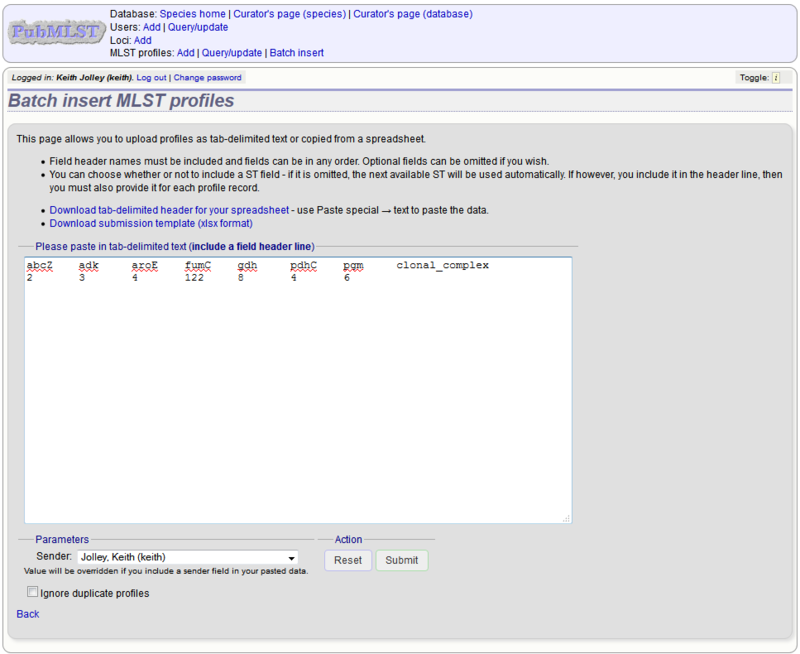 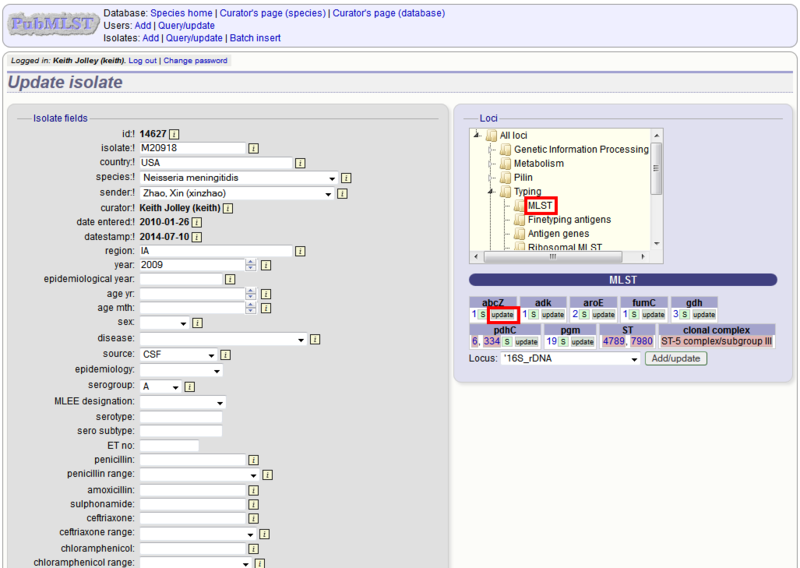 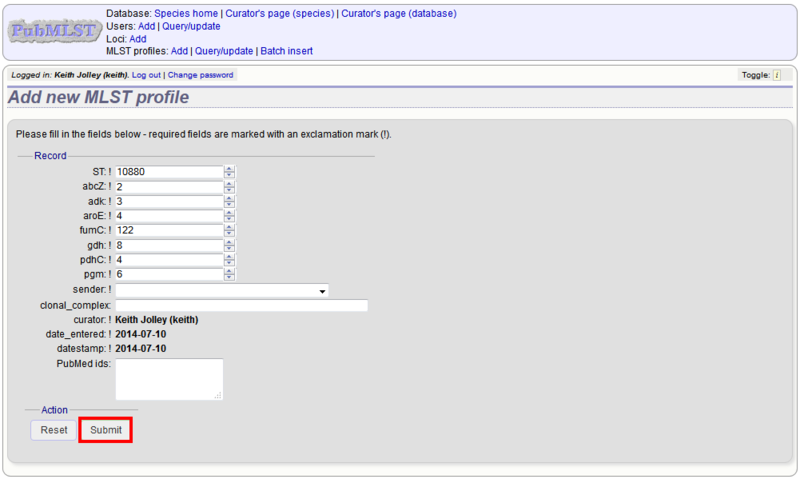 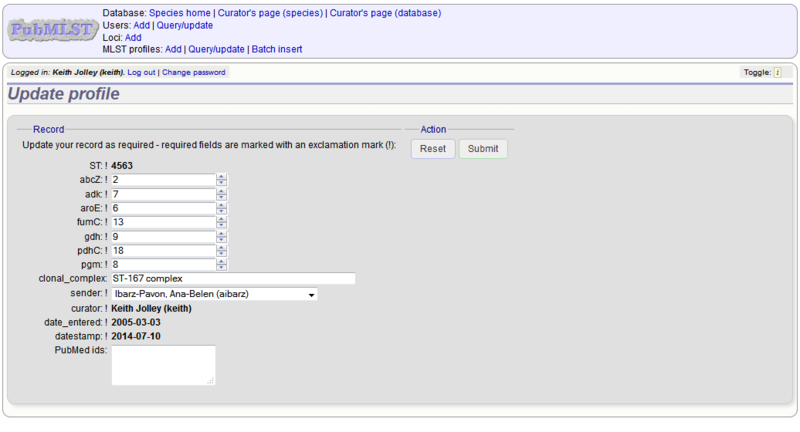 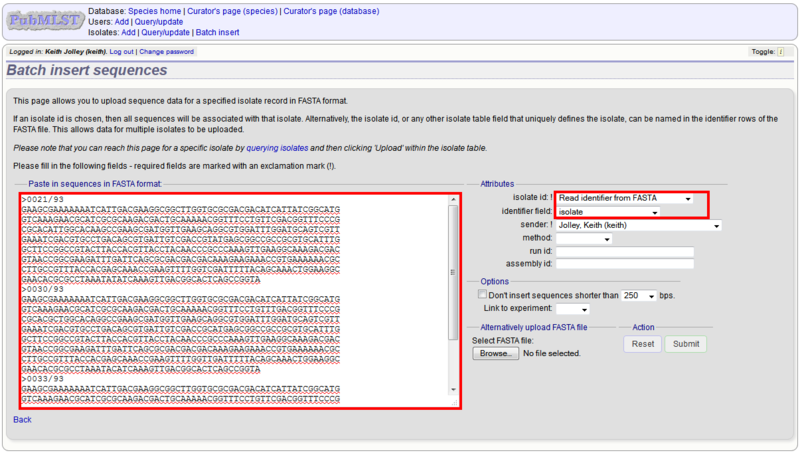 Select the field you are using as a unique identifier, in this case id, from the drop-down list box, and paste in the data. 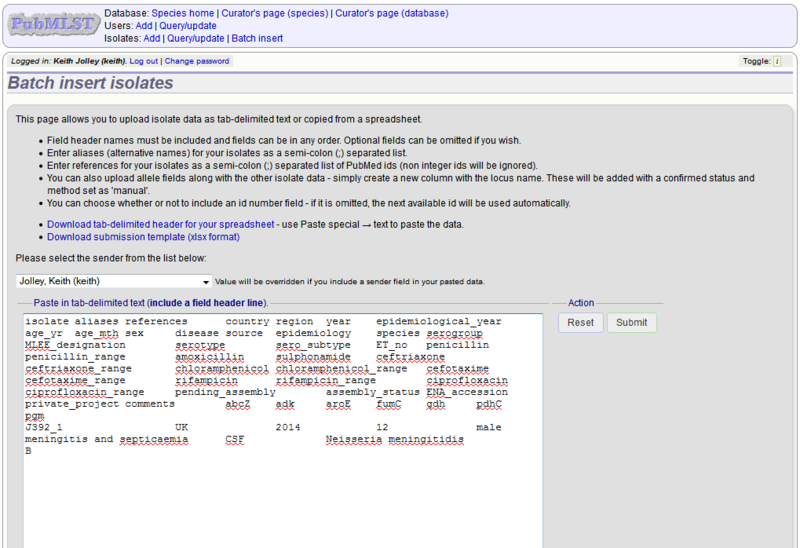 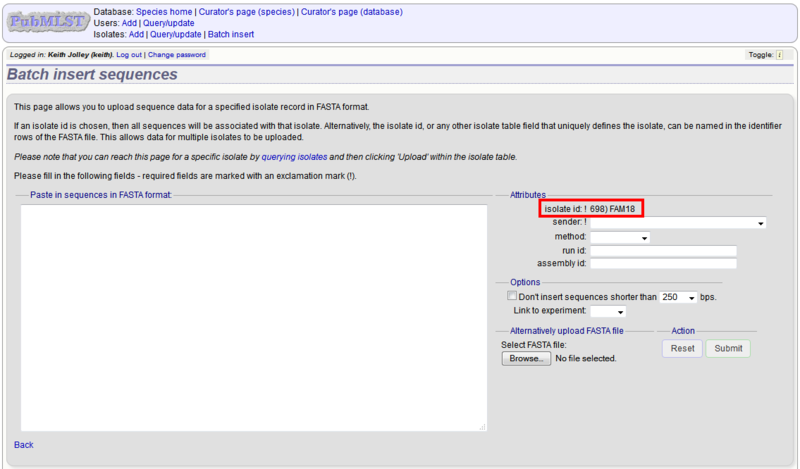 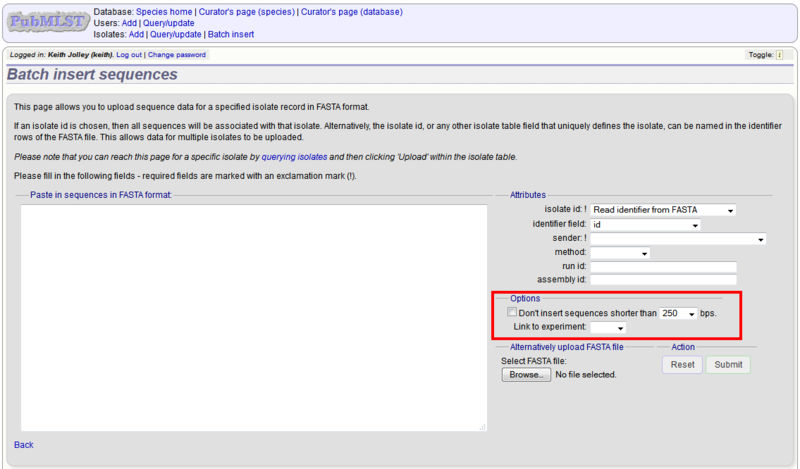 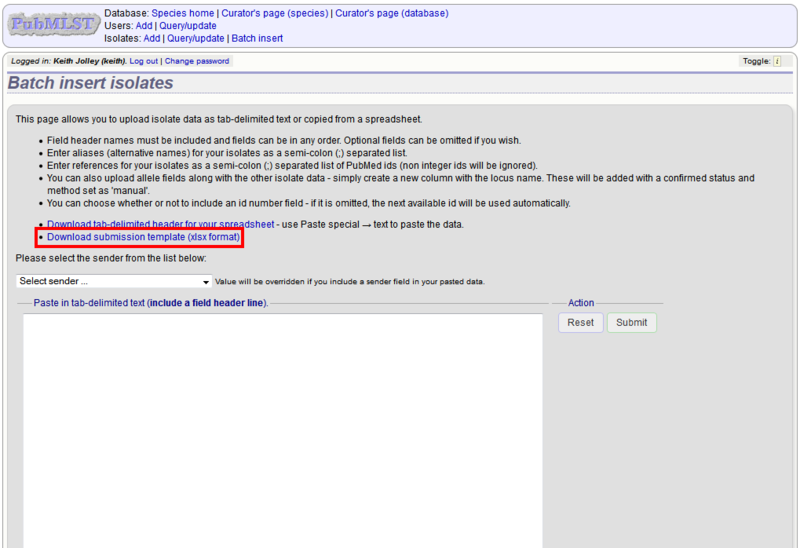 If the fields already have values set, you should also check the ‘Overwrite existing data’ checkbox. 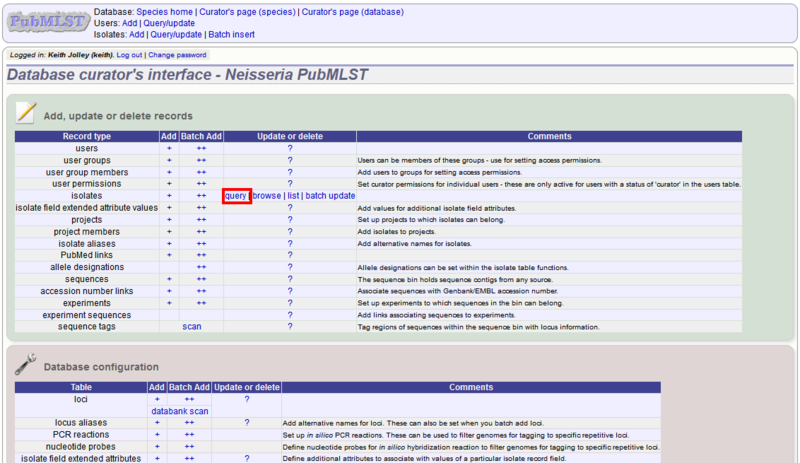 Press ‘submit’. 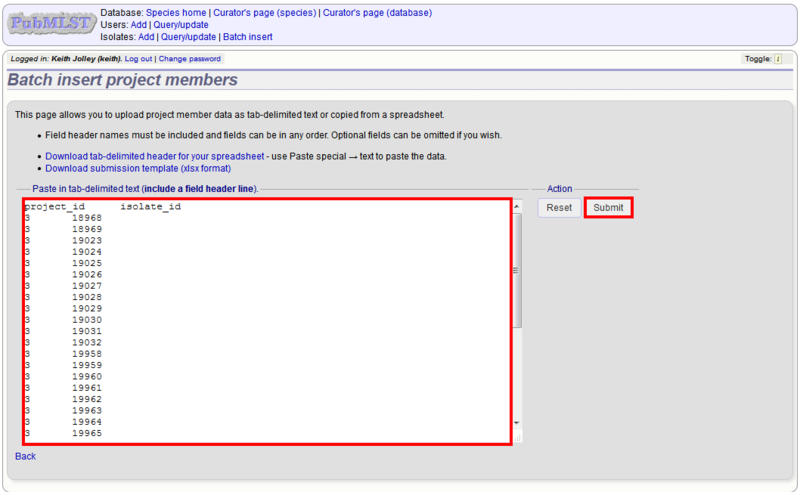 You can also enter a full description. 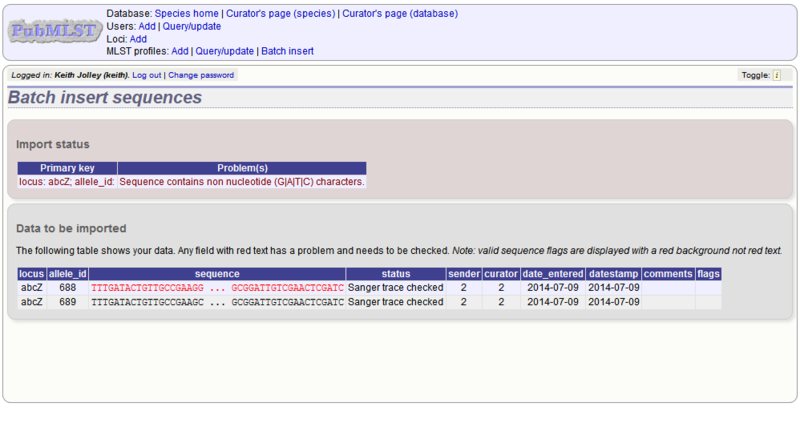 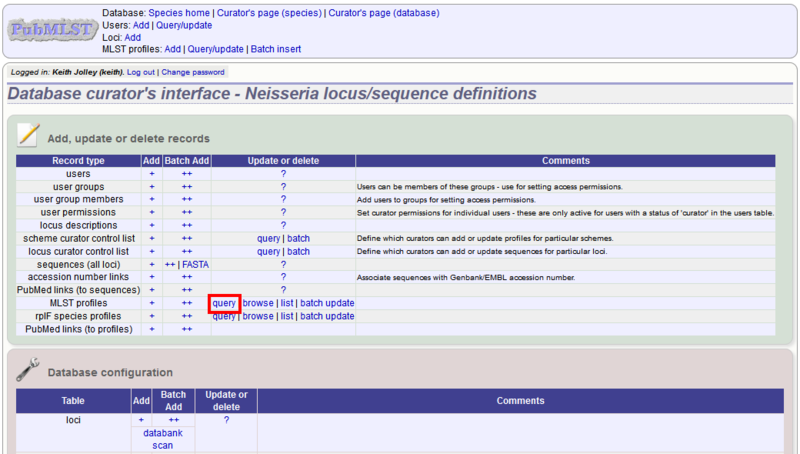 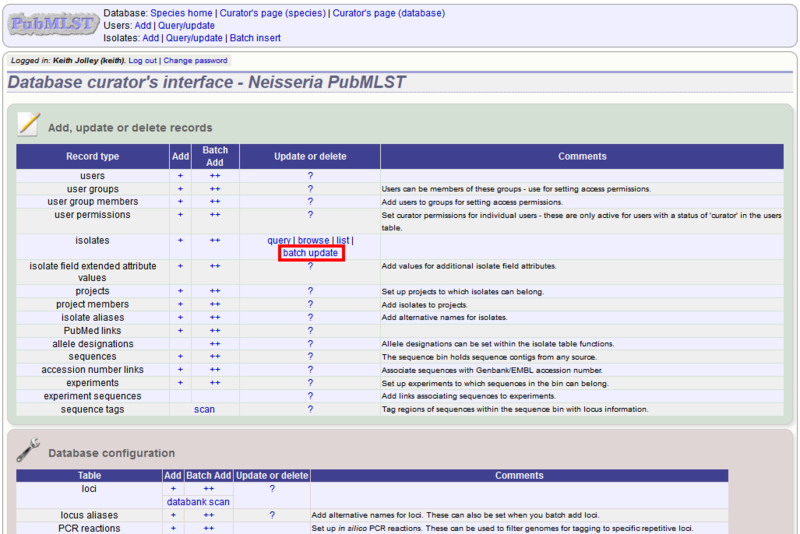 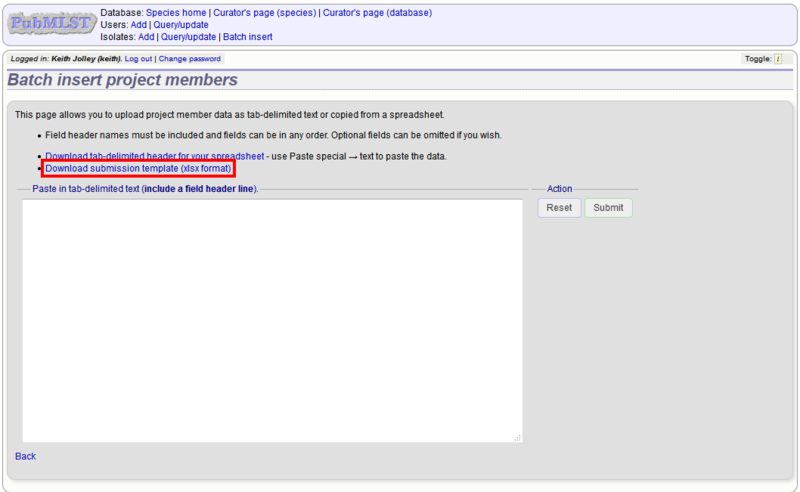 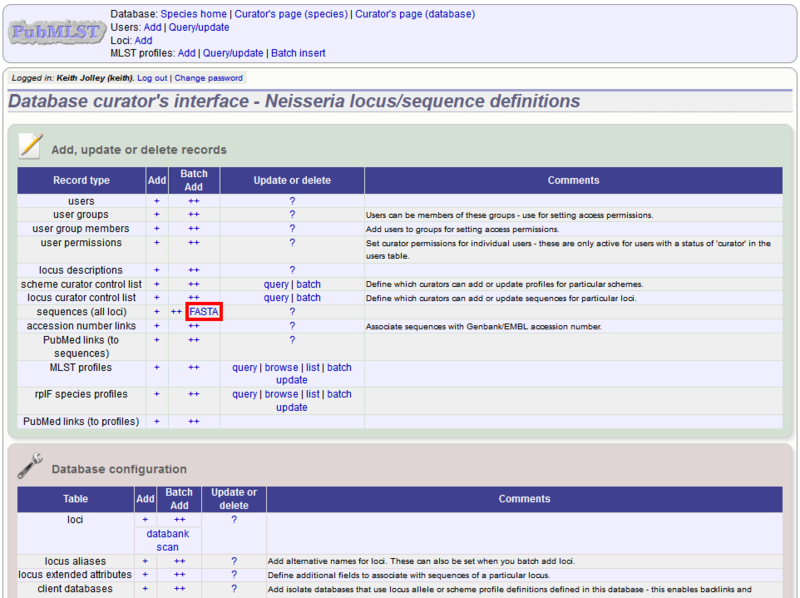 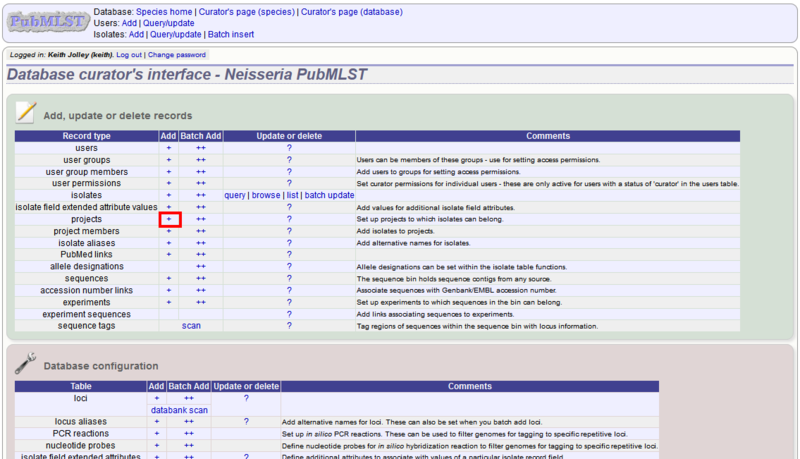 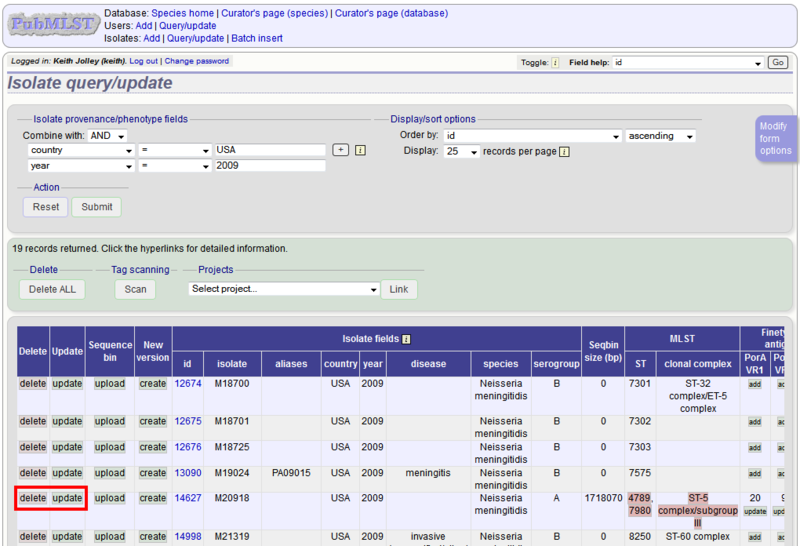 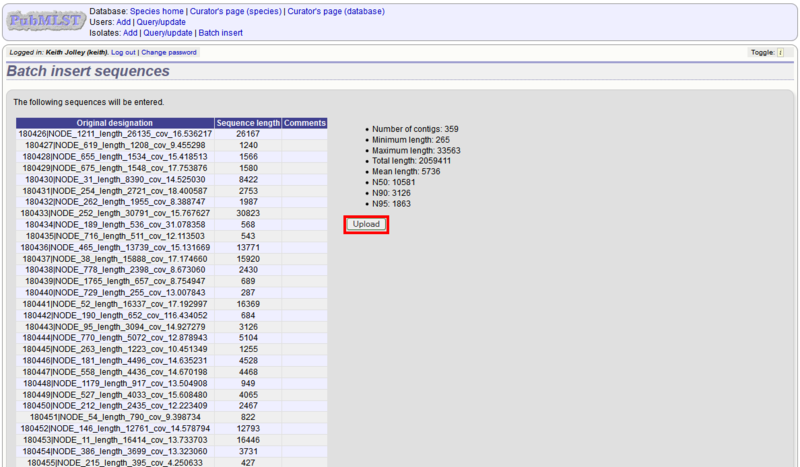 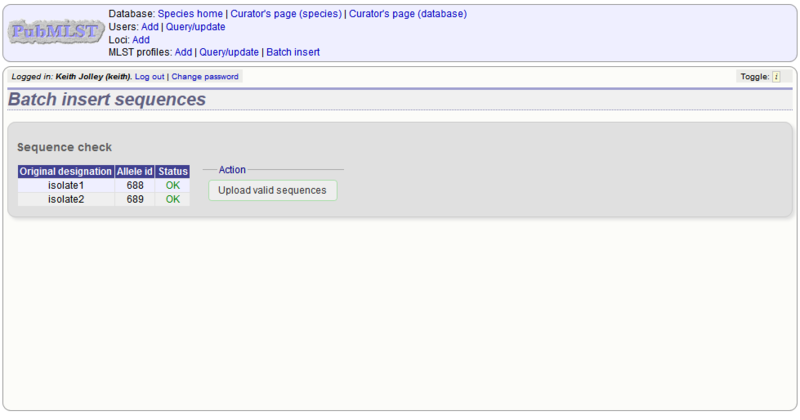 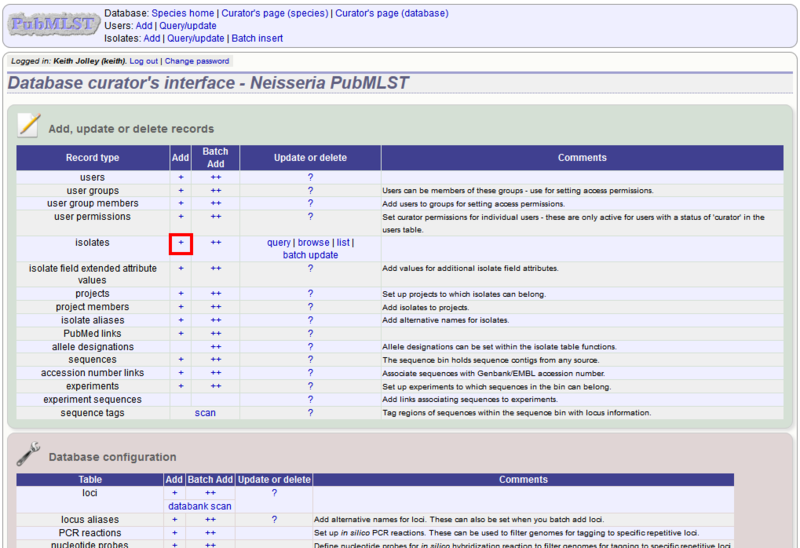 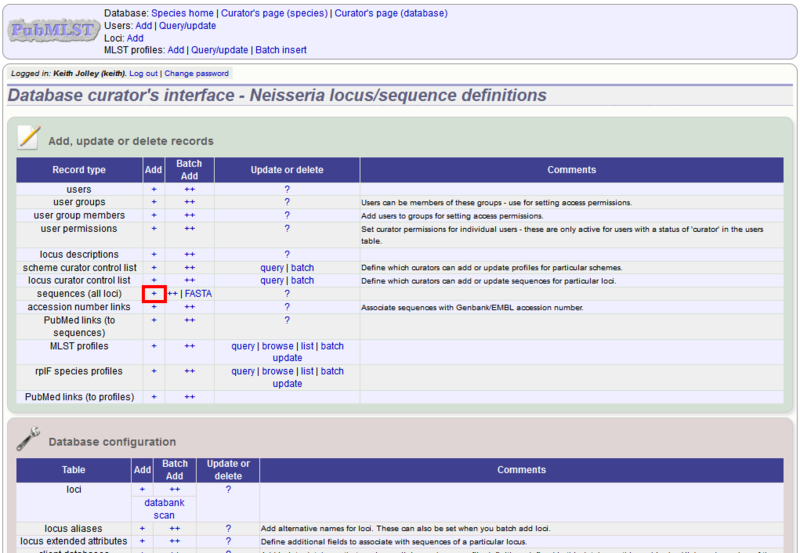 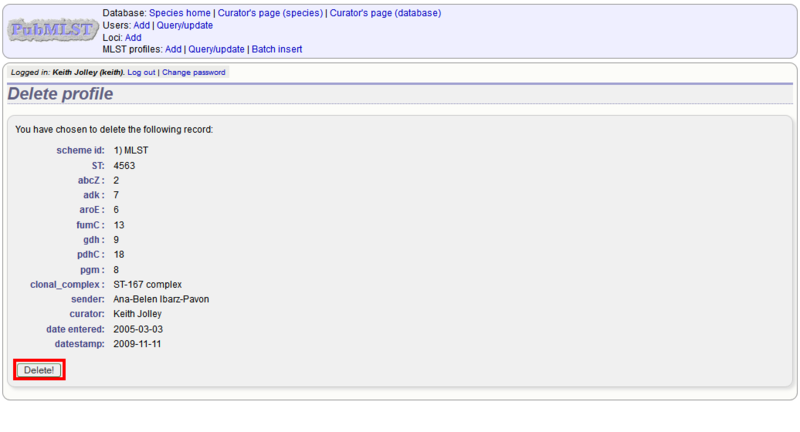 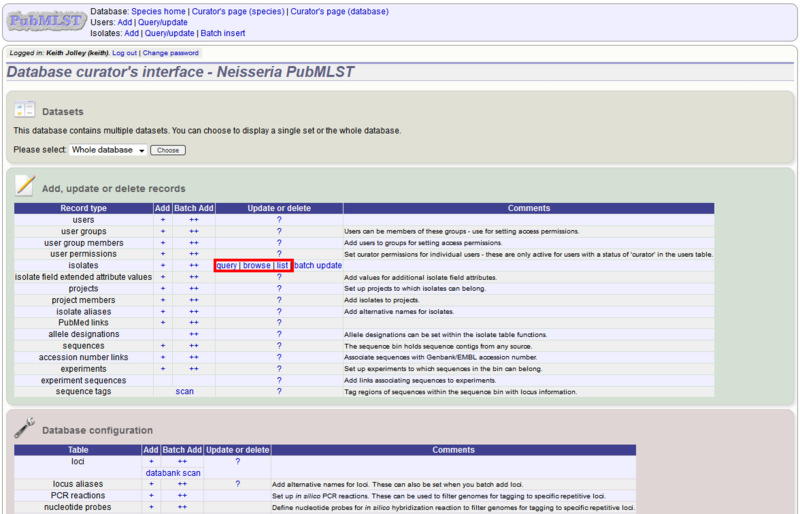 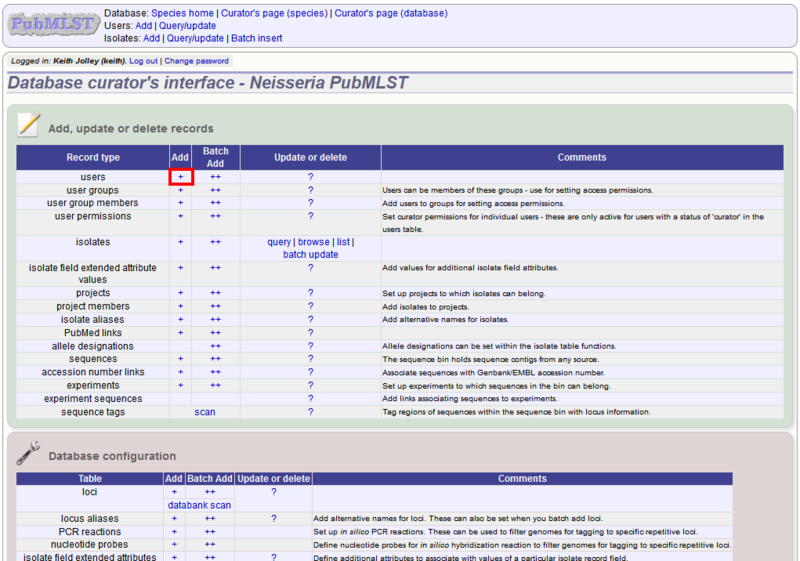 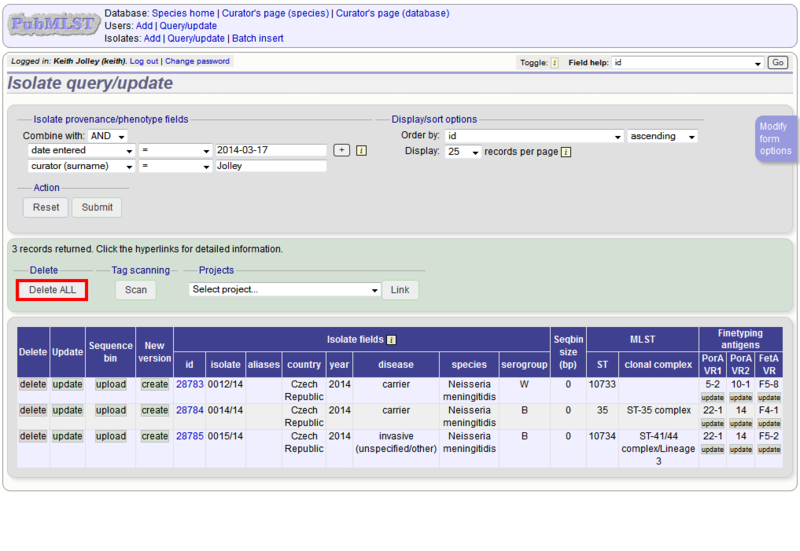 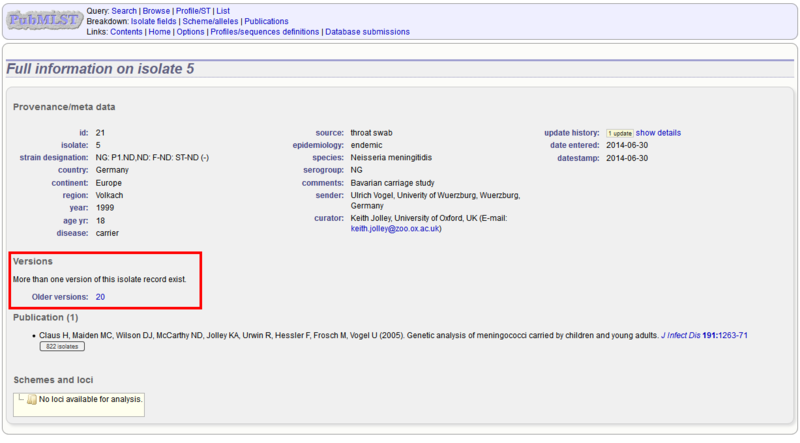 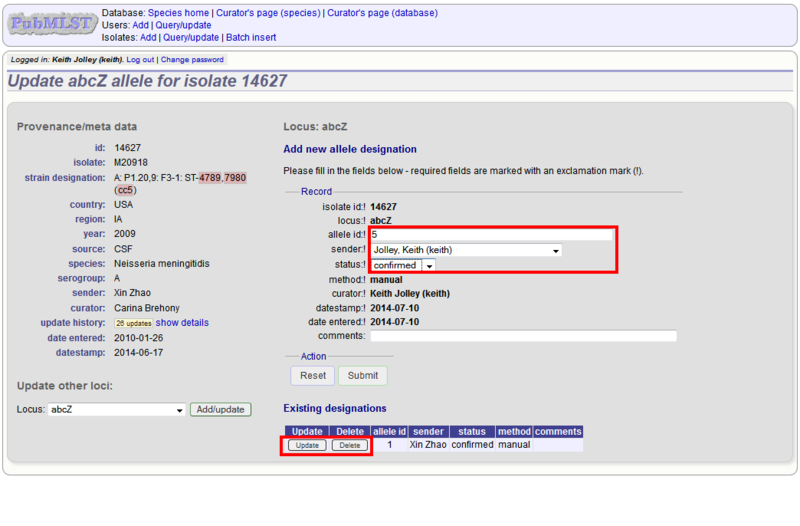 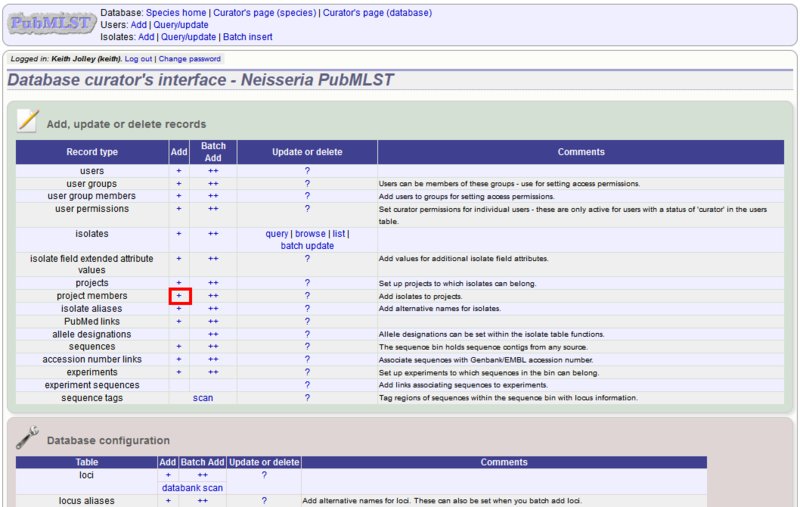 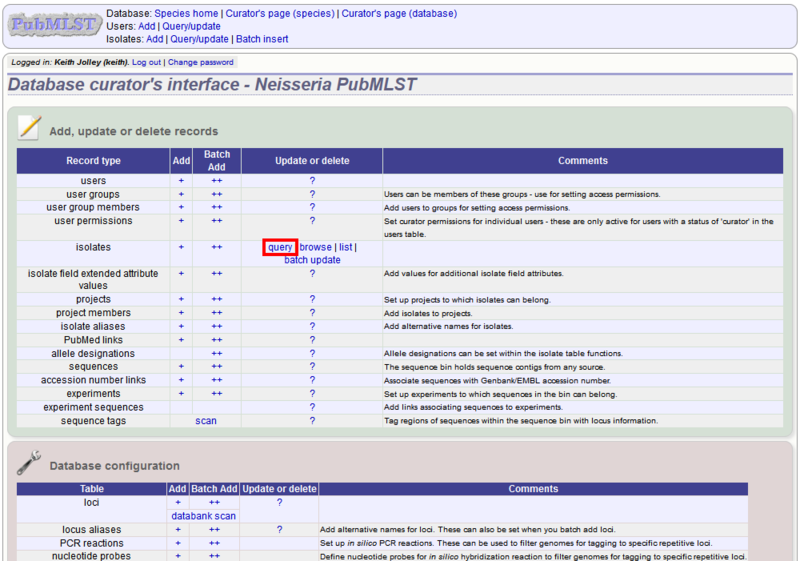 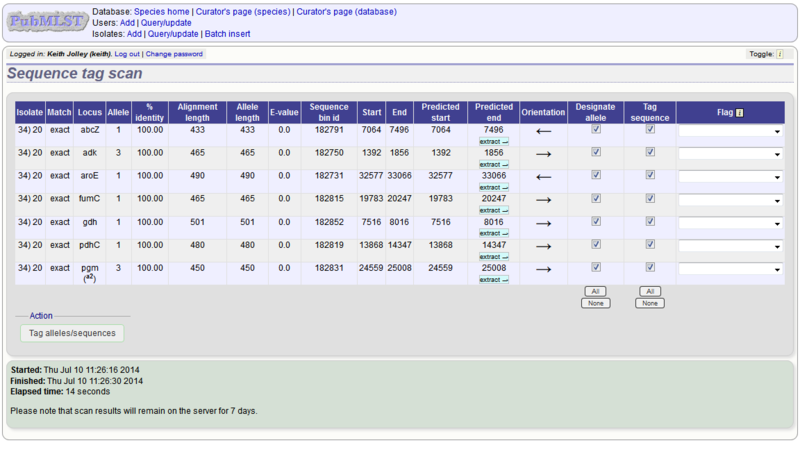 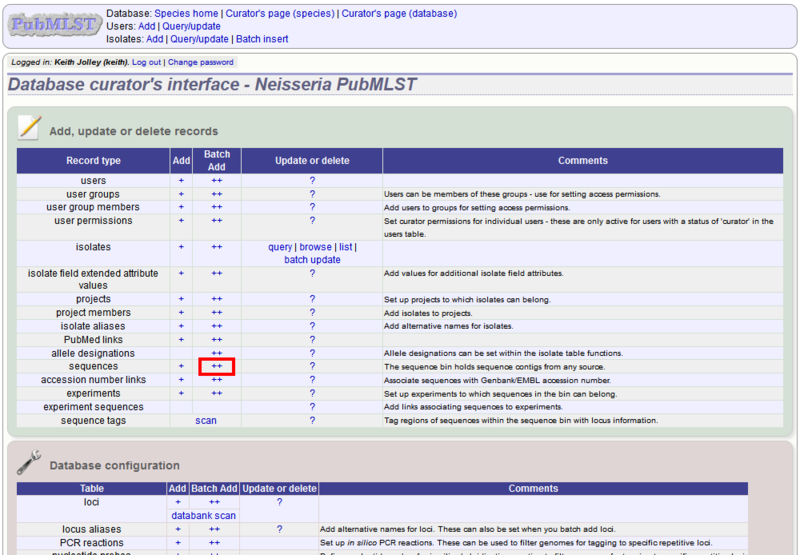 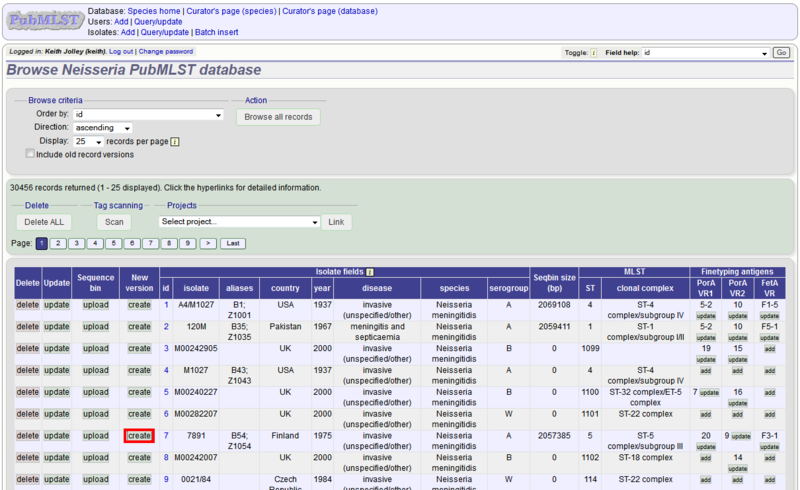 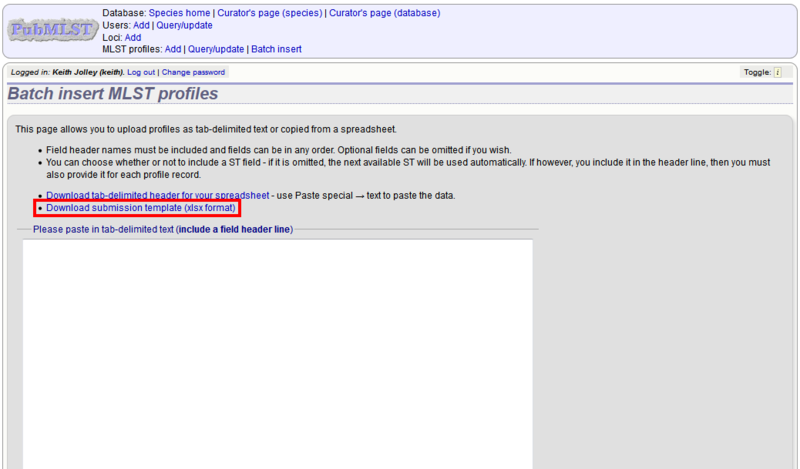 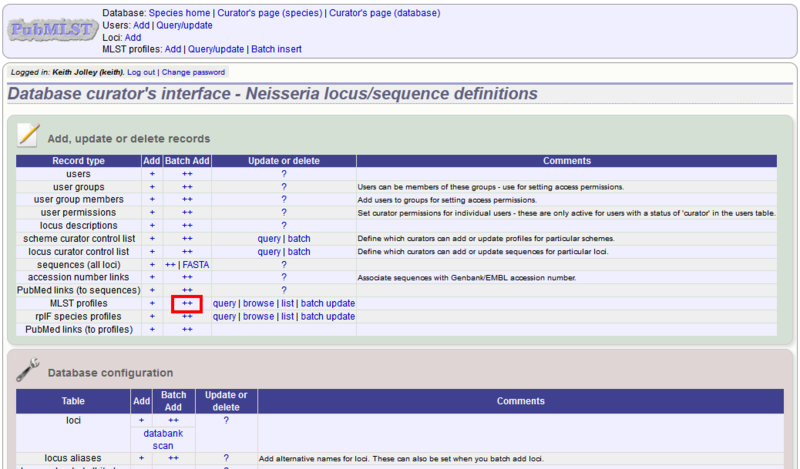 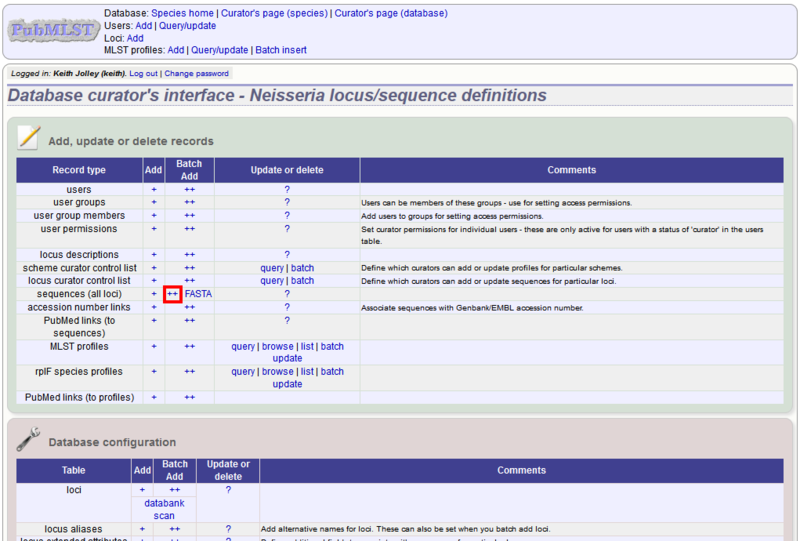 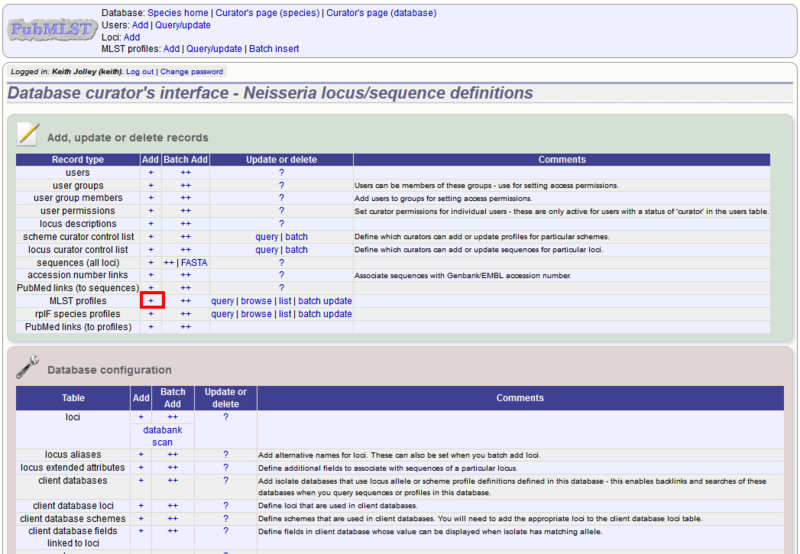 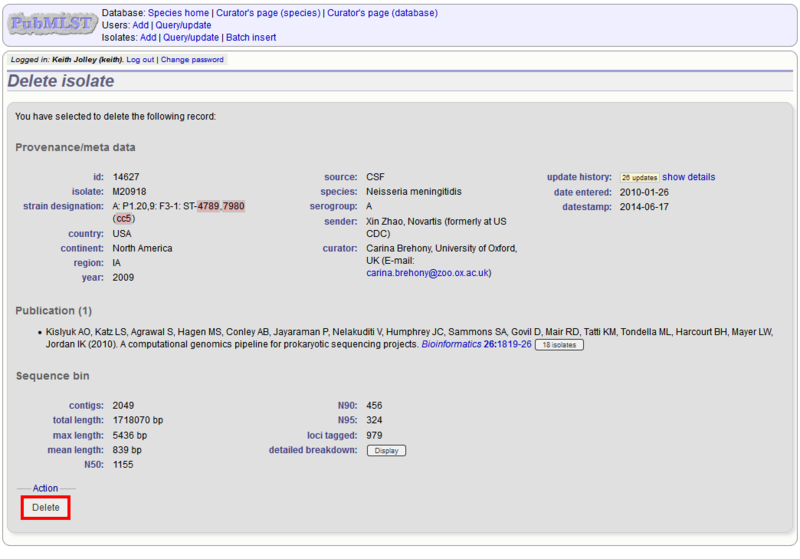 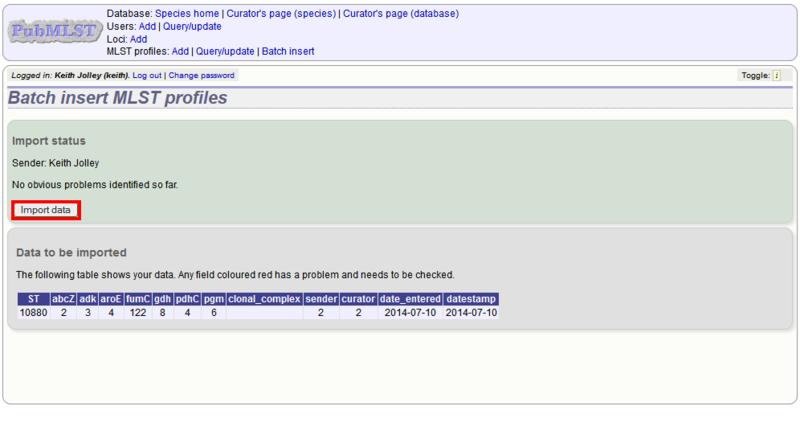 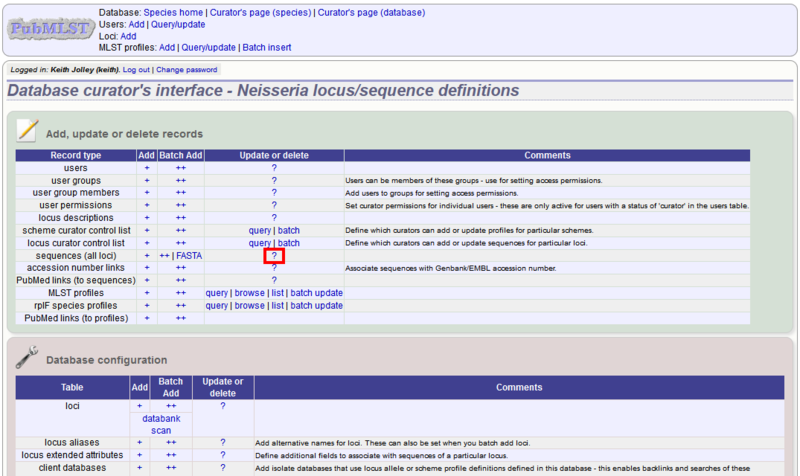 If this is added, the project description is displayed at the top of an isolate information page. 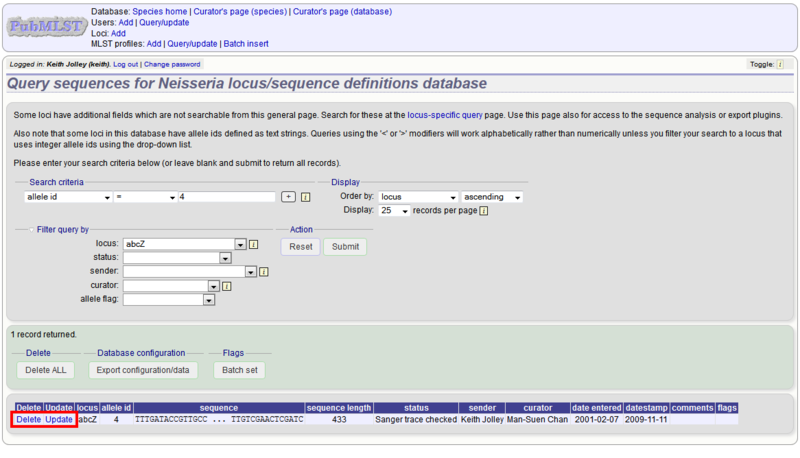 The full description can include HTML formatting, including image links.